Summary: Electrical Circuits Question: Hi Dave i have a hosrstmann economy 7 quartz water heater and every time i switch it on the whole house trips,is there anything i should be checking or should i call in an electrician? I'm concerned that i may be wasting his time if it might be something straight forward,your advice would be much appreciated. Hi Dave, I have a hosrstmann economy 7 quartz water heater. Every time I switch it on the whole house trips. Is there anything I should be checking or should I call in an electrician? I'm concerned that i may be wasting his time if it might be something straight forward,your advice would be much appreciated. Hi Garry - Great Electrical Repair Question! It sounds like you may have a defective water heater. 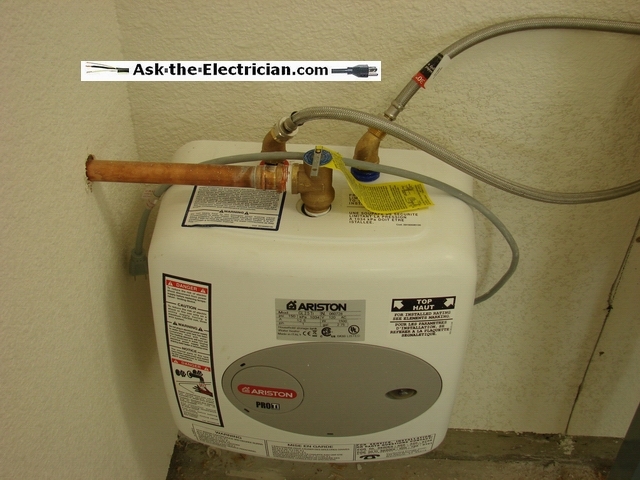 The water heater may have a direct short which is tripping the fault protection for your home I would return it and try another one. Make sure your existing circuit has enough capacity for the additional load. Do-it-yourself electrical circuits projects can be rewarding, but please be careful! Always make sure the circuit is off. NEVER work on live electrical circuits.